The management team has extensive experience in farm management, driving asset values and extracting performance from agricultural assets and offers a wealth of international experience sourcing deals, carrying out due diligence and asset valuations, acquiring, restructuring and managing land portfolios. Agricultural Asset Management has a global network of farm and land management capability and has established strong relationships with the agricultural industry, farmers, managers, financial institutions and Governments, but most importantly, it has developed a broad investor base with wide geographical coverage. 20-year combined history as a leading international agribusiness advisor and real estate manager. Over 130 dedicated professional staff (of which over 30 are full-time agriculturalists and over 50 are agricultural property professionals) and operates from 14 offices worldwide. US agriculture is amongst the most productive in the world which, combined with an ageing farming population, creates potential for compelling investment opportunities. The demand for real assets, such as farmland, is increasing as investors realise the benefit they hold in mitigating the risk of inflation and diversifying their portfolios. With limited supply of arable land, US agriculture is well placed to meet this growing demand, as it is not only one of the most productive and technologically advanced farming countries in the world, but presents attractive capital returns. Government support for agriculture, and more specifically crop insurance, can provide downside protection for yield and price. Since the 1990s the agricultural sector in the region has lacked investment and lags behind that of Western Europe and other developed economies when compared to its potential. With strategic investment in farm infrastructure and management, significant improvements can be made in profitability. Agricultural Asset Management has extensive experience in the region to source, acquire and manage a diverse portfolio of crop production farms in both Poland and Romania and aims to strategically invest in farming related infrastructure to improve operational returns and enhance capital values in these countries. UK farmland assets provide reliable annual income with modest capital appreciation and due to its range of farming sectors and underlying demand on land and property assets for agriculture and diversified higher value uses (renewables, development, etc. ), UK agriculture offers exposure to a secure, diversified income with additional alternative added value opportunities. 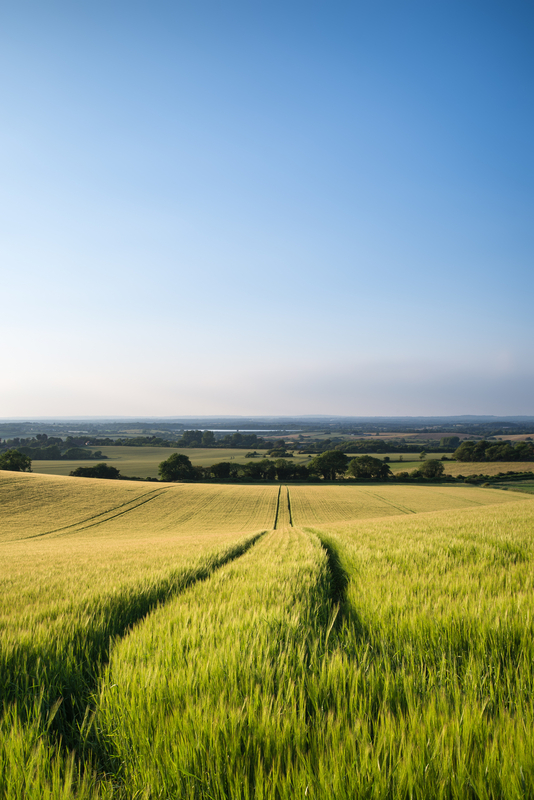 Agricultural Asset Management are constantly active in seeking opportunistic investments with the intention of owning, managing and operating a mixed portfolio of agricultural assets across the UK through a variety of established land management methodologies. Agricultural Asset Management Limited (“Agri-AM”) is authorised and regulated by the Financial Conduct Authority (“FCA”). It is solely Agri-AM, which is, to the extent set out below, responsible for the content of this Site. Agri-AM and/or its associates may act as investment manager, investment adviser, investment consultant, administrator or otherwise for any of the Funds and may receive remuneration (including remuneration based on the performance of the Funds and/or their assets) for doing so. You must read the following information for your own protection and benefit. It explains certain legal and regulatory restrictions which apply to this Site and the investments and investment activities referred to in it. When you have read the following information, please tick the appropriate boxes below to acknowledge that you have read and understood the information and to proceed to the main part of this Site. Set out below is certain information relating to specific jurisdictions and certain matters and/or requirements relating to access and/or use of the Site and/or the Material by persons resident in and/or accessing from such jurisdictions. You may not use or view the Site and/or the Material unless the jurisdiction in which you are resident and from which you are accessing the Site is listed below and you fulfill the requirements for access listed in your particular jurisdiction. All the material on this Site, including portfolio construction information, net asset values, share price performance information and performance reports (the “Material”) has been prepared for information purposes only without regard to any particular user’s investment objectives, financial situation, needs or means, and neither Agri-AM nor any of the Funds from time to time managed by Agri-AM or AFL (“the Funds) is soliciting any action based upon such Material. The Material is not to be construed or relied upon as a recommendation or statement of opinion; or an advertisement; or an offer to buy or sell; or the solicitation of, or an inducement to, an offer to buy or sell any security, financial product, or instrument; or to participate in any particular trading strategy in any jurisdiction. The content of this Site does not constitute business, financial, investment, hedging, trading, legal, regulatory, tax or accounting advice or services and as such, you should not make this Site or the Material the basis for any investment decisions made by or on behalf of you, your accountants, or your managed or fiduciary accounts, and you are advised to consult your business, tax, accounting and legal advisers concerning any contemplated transactions. The Material is based on information which is otherwise publicly available and whilst the Material is based upon information that Agri-AM in its reasonable opinion considers reliable and endeavours to keep current, neither Agri-AM nor any of the Funds have verified this information and neither Agri-AM nor any of the Funds represent that the Material is accurate, current, or complete and the Material should not be relied upon as such. Neither Agri-AM nor any of the Funds will have any responsibility to maintain the Material or to supply any corrections, updates or releases concerning the Material. By accessing this Site, you expressly acknowledge and agree that the Material provided to you is on an “as is” basis, used at your sole risk and shall not be relied on by you. Past performance is no guide to future returns. The value of shares in Agriculture Investments and the income from them, if any, may fall as well as rise. Investing in a Fund involves certain risks, including risks in relation to that Fund, its shares and the underlying funds and the strategies those funds employ. Because the return and principal value of an investment in a Fund will fluctuate with changes in market conditions, changes in rates of exchange between currencies, an investor’s shares, when disposed of, may be worth more or less than their original cost. Investors may also incur a sales charge when purchasing shares, as a result of which, in the absence of investment returns, investors will not get back the amount invested. There are significant risks associated with an investment in Agriculture. An investment in Agriculture may not be suitable for all investors. It is intended for sophisticated or sufficiently experienced investors who can accept the risks associated with such an investment including a substantial or complete loss of their investment. There can be no assurance that any of the Funds will achieve their corporate objectives. Each prospective investor should carefully consider the risks associated with any investment and make all such independent investigations and enquiries as they deem necessary or appropriate before deciding to invest. Neither Agri-AM nor any Manager or Advisor nor any of the Funds shall have any liability to you for any loss or damage which may arise directly or indirectly from any reliance on the Material save in the circumstances where such exclusion or restriction of liability would be expressly prohibited by the rules of the FCA or any other applicable laws or regulations in England and Wales or other relevant jurisdiction. Neither Agri-AM nor any of the Funds will be liable for any access to the Site in breach of the access criteria. Agricultural Asset Management has adopted the United Nations Principles for Responsible Investment in Farmland.